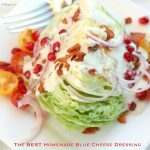 The Best homemade Blue cheese Dressing (aka Roquefort Dressing) is so easy to make at home and tastes WAY better than anything you can buy at the store. 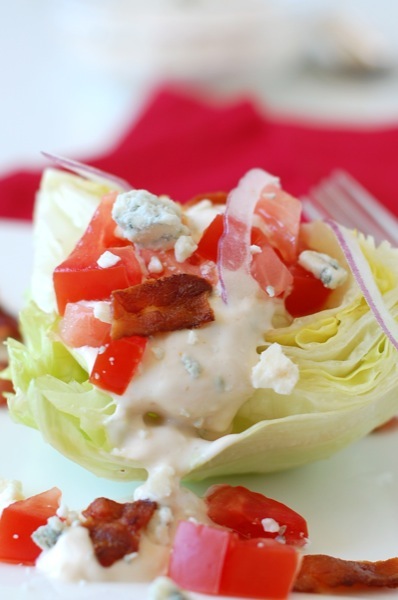 There’s nothing better than a good wedge salad. 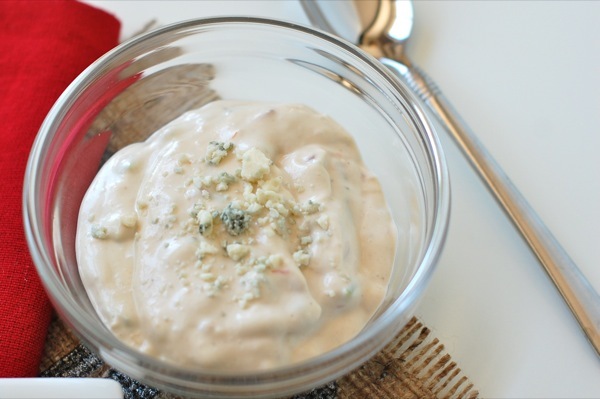 The only thing to make it better, is the best homemade roquefort AKA blue cheese salad dressing. This is my grandma’s recipe, and we recently had it in Montana when we were with them. We always eat so good when we’re up in Montana and I always leave inspired to cook more. Do you have good cooks in your family? It’s such a blessing. 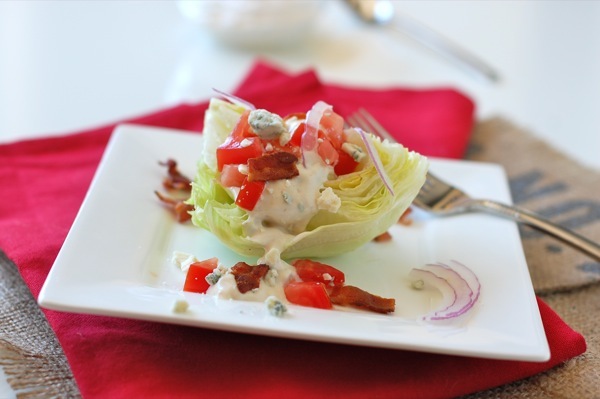 You just can't beat homemade roquefort salad dressing. Whether you call it blue cheese or roquefort, this dressing is so good! Mix all ingredients together well and chill over night. Serve chilled. This dressing will last up to two weeks in the fridge. As you can see…this recipe is completely fat free! Just kidding… Okay…so it’s not the healthy-ist dressing around, but it’s sooo good! and so worth it. What’s your favorite salad dressing? Have you ever tried adding pomegranate seeds to salads? It’s so good! You’ll have to try it! Thanks for the bottle of it. Dad is in heaven. Man alive — that looks so good. I can’t wait to try this time-tested recipe! Sounds wonderful. I just pinned this. Yum! I have a little obsession with blue cheese! The older I get the more I have grown to love blue cheese. I am going to give this a try, it looks so good! Mmmmmm yummy!! I love blue cheese! !